To the many people seeking a non-invasive, “non-toxic” answer to their chronic back pain, it may seem like doctors are in a rush to prescribe medications (including addictive opioids) and/or spine surgery. And patients who have been hurting for a long time are often vulnerable to suggestion; they may go with their doctor's recommendations simply because they are tired of the pain because nothing else has been suggested to them (and they haven’t done their own research), or both. If this sounds like you, hold up a minute, and take a deep breath. Lots of chronic spine pain patients fare quite well by taking the conservative route only; this way of approaching relief may include physical therapy, lifestyle changes (for example losing weight) and exercise—but it’s not about surgery. And here’s a tip: Many spine experts believe that rather than banking on just one conservative treatment method, using a combination of approaches may yield the fastest and most profound results in terms of reduced pain and increased physical functioning. One of the many non-surgical approaches to low back pain that has been gaining in popularity, as well as piquing the interest of medical researchers, is the use of shoe inserts and/or custom foot orthotics. In this article, we’ll explore how foot support devices might help reduce your chronic back pain. Shoe Inserts vs. Custom Orthotics—What’s the Difference? There are foot supports and there are foot supports, so let’s start by getting our terms straight. You can buy non-prescription shoe inserts, arch supports and insoles—in other words, generic devices that slip into your shoe and alter (for better or worse) the positioning of your foot and ankle—at your local drug store. You can also order them online. One way to recognize this type of insert is by the fact that they come pre-packaged and are mass produced. The American Podiatric Medical Association (APMA) says that you can also get so-called “custom made” foot supports via specialty retail stores or online. But, the organization warns, unless the insert has been prescribed by a doctor and crafted specifically for your feet, it’s considered an insert and not an orthotic. The APMA says the most common types of shoe inserts include arch support for high arches or flat feet, insoles for extra cushioning and support, heel liners for heel cushioning and support, and foot cushions for added comfort when the edges of your shoe chafe your foot. Custom orthotics, on the other hand, are available by prescription only and are tailored with precision to your individual feet—their shape, posture (whether well aligned or not), and even the way they function day in and day out. That said, there’s much disagreement among experts as to how effective custom orthotics really are, plus many in the industry believe they are overprescribed. And the price tag can be exorbitant: A 2006 New York Times article reported that, according to one industry professional, the cost of manufacturing one pair of orthotics was, at that time, $78. But as the customer, you’ll likely pay at least double that, though it’s often up to eight times more. One big reason for this is that prescribing practitioner—plus the manufacturer—will add in their profit to the base cost, driving it up significantly. The APMA points out that custom orthotics are made for you and only you, and in such a way that they precisely match the contours of your feet. This is so the orthotic can accommodate your unique foot structure and pathology, including, but not limited to back pain, they say. They provide extra cushioning and support. They help to control the motion in your foot (which consists of 26 bones, and therefore many moveable joints.) By controlling motion, your custom orthotic may be able to keep your feet and ankles in the best position possible during standing, walking, running, and other weight-bearing activities. The APMA says that before you can order your custom orthotic, you’ll need to get an evaluation of not only your feet but your entire lower extremity. Of course, they only recommend podiatrists for this, but many chiropractors plus some physical therapists and medical doctors offer the service as well. Once the evaluation is done, at that point the manufacturing of your custom orthotic starts, the APMA says. When Do You Need Extra Foot Support? Shoe inserts and custom orthotics are used widely for foot problems. Common diagnoses for which various types of foot support are prescribed (or recommended) include flat arches, bunions, plantar fasciitis, diabetes-related neuropathy, and more. If you think you have any of these, speak with your doctor and/or podiatrist. But what about back problems? Perhaps the most common spine related reason for custom orthotics is a leg length difference. A leg length difference (aka leg length discrepancy) can “unlevel” the pelvis which in turn may affect your spinal alignment and muscle balance. It works like this: As the short leg tries to reach the ground (which it does with every step you take), it essentially drags the pelvis on that side down with it. The result is the pelvis and hip on the short leg side become habitually lower than on the long leg side. A custom designed insert can help even out the effective length of the legs as well as restore balance to your pelvic position, especially in weight-bearing activities. The pelvis functions as a base for spinal alignment and movement, so this type of correction may exert a big influence on your back health. Other than that, most experts agree that custom orthotics and other types of foot support are not geared towards any specific spine-related diagnosis. Rather, they are considered to be potentially useful for general maintenance. That said, one thing most experts do agree on is that foot pronation (aka, flat feet) is often related to low back pain. And foot pronation is something a good custom orthotic may be able to address. So how does foot pronation increase low back pain? Basically by one or two mechanisms. A 2014 study in the journal Foot found pronation to be due to posture abnormalities that start at the foot and translate to knee, hip, pelvis, and spine via what medical and fitness professionals call the “kinetic chain.” These posture abnormalities are basically related misalignments in the bones in those areas. The researchers also note changes in how the pelvic and low back muscles work as ways foot pronation may increase or bring about back pain. The authors add that more research is needed to give them the full picture on how practitioners might use orthoses to help change muscle use, body posture or both, and thereby relieve chronic low back pain. The good news is that new lines of questioning on the part of the research community may soon shed more light on this. In the meanwhile, the authors of the Foot study justify future research by pointing out while the use of custom orthotics is a simple solution, it is a potentially very effective way to deal with chronic low back pain. 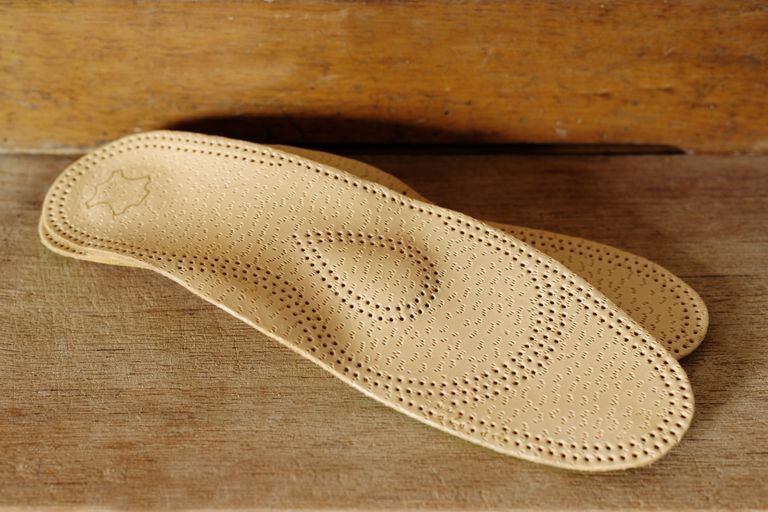 The custom orthotic industry is booming these days– perhaps because foot support offers a potential, non-surgical way to address longstanding back pain. But another reason may be that in some consumer circles, inserts and orthotics have become buzz words, which, in turn, may lead to the unintended consequence of encouraging unscrupulous practitioners to capitalize on their popularity. To balance out the free-wheeling activity that is likely taking place in the market, authors of a 2016 article published in the journal Foot provide an evidence-based summary and recommendation on the use of these devices. In it, they remind us that the use of orthotics and inserts are so far unproven by high-quality medical studies (RCTs). Translated for U.S. health consumers, this means that the authors cannot confidently recommend foot supports as a treatment for people who are looking to relieve their chronic low back pain. But that’s not the full picture. While it’s true that more studies on the various aspects of shoe and foot support as it relates to low back pain relief are probably needed, the authors point out that extensive research on biomechanical mechanisms underlying the benefits of orthotics already exists, and could be used to help inform us about what works and what doesn’t. Fortunately, the authors also tell us that pilot studies (that are of excellent quality) are beginning to pop up across the research landscape, which means we may soon see some answers. As I mentioned earlier, while podiatrists, MDs, and physical therapists all can prescribe orthotics as a solution to low back pain, it’s often the chiropractor who is the entry way for people with low back pain. This is a good thing because a number of studies comparing orthotics to no treatment and to orthotics with chiropractic adjustments suggest that the most improvement can be had with a combination of the foot supports and adjustments. But those who had both chiropractic treatment and orthotics improved more than those whose treatment consisted of orthotics alone. As long as it’s the foot that is the driver of your back pain, orthotics may well make an effective pain relief solution. In other words, if you have a habit of pronating your foot, this less than ideal functionality may translate up the “kinetic chain” and contribute to your low back pain. Thus, pronation is the type of foot problem for which custom orthotics may be useful as you seek the relief you deserve. Cambron, J.A., et. al. Shoe Orthotics for the Treatment of Chronic Low Back Pain: A Randomized Controlled Trial. Arch Phys Med Rehabil. April 2017. Kendall, J.C., et. al. Foot posture, leg length discrepancy and low back pain--their relationship and clinical management using foot orthoses--an overview. Foot. June 2014. Papuga MO, et al. Foot orthotics for low back pain: The state of our understanding and recommendations for future research. Foot (Edinb). 2016. Prescription Custom Orthotics and Shoe Inserts. American Podiatric Medical Association website. Tuff, Sarah. Do You Really Need an $800 Custom Insole? The New York Times. June 2006.